Books teach us everything we need to know about anything. We can learn how to play golf or practice yoga, date or be wine connoisseurs. Can we then read up on how to be musicians? 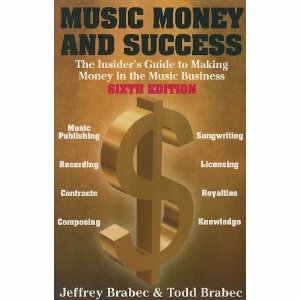 The following how-to books can be a guide to aspiring artists hoping to break into the music industry. 1. 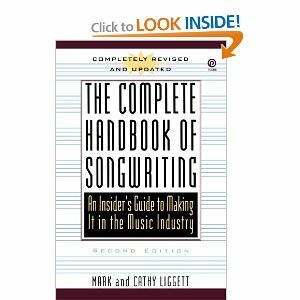 The Complete Handbook of Songwritting: An Insider’s Guide to Making it in the Music Industry by Mark & Cathy Liggett. This manual not only outlines the techniques of songwriting but also covers such areas as royalties, contracts, & even setting up one’s own music publishing firm. 2. 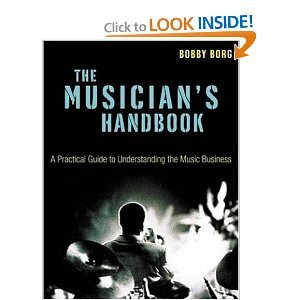 The Musician’s Handbook: A Practical Guide to Understanding the Music Business by Bobby Borg. FINALLY, a book written BY A MUSICIAN FOR MUSICIANS–from an author who has actually been in the trenches himself—from rehearsal studios to label signings, from recording studios to concert stages. Get the STRAIGHT FACTS about the music industry–NOT THE FAIRY TALES. In The Musician’s Handbook, veteran musician Bobby Borg reveals over 35 inspirational and proactive strategies for pursuing a successful career in the music industry. Other chapters of this indispensable primer provide comprehensive coverage of the four types of business relationships, the five key people a musician needs to succeed and the four major sources of music revenue. Rare and candid interviews with top industry professionals such as Fred Croshal (GM of Maverick Records), Neil Gillis (VP of A&R and Advertising at Warner/Chappell Music), Chris Arnstein (personal manager, international tour manager and booking agent) and Henry Rollins (punk-rock legend of Black Flag and Rollins Band) make the Musician’s Handbook one of THE MOST HONEST AND RESOURCEFUL BOOKS EVER WRITTEN ABOUT THE MUSIC BUSINESS TO DATE! If you’re even thinking about pursuing a career in music, or wondering why it hasn’t turned out as expected, The Musician’s Handbook is a Necessity! Packed with insider information, tips and secrets from industry pros. 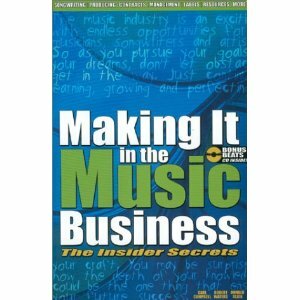 Making It In The Music Business: The Insider Secrets is a must-read for any aspiring musician, songwriter, performer or music business entrepreneur. This book also includes a Musician’s, Songwriter’s & Artist’s Resource Guide and Bonus Beats Audio CD featuring some of the hottest, professionally recorded beats found anywhere. The audio CD includes many different styles of beats: Hip Hop, Pop, Rock, House, Funk, R&B, African/Calypso & more. These beats are yours to use royalty-free in your songs, recordings, auditions etc. * What every musician, songwriter and artist should know before signing a contract and much, much more! If you want to know more than just legal and technical jargon, and if you’ve waited long enough for someone to tell you the truth about breaking into the music business, then this book is for you! Songwriting, composing, recording and music publishing is a business. This book tells you how the business works, what you must know to succeed, and how much money you can make. 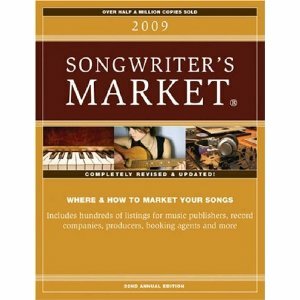 Songwriter’s Market is packed with insider information about the music industry that can spell the difference between success and failure. Readers will find support and encouragement through listing for support organizations, online resources, as well as articles and interviews with industry insiders. With completely updated listings for music publishers, record companies, managers, booking agents, and record producers, as well as information about how the music industry works and how to protect yourself from the scam artists of the industry, this helpful guide is every musician’s best friend.